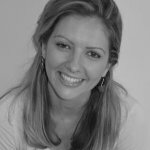 Gemma has an MA in Social Policy, and a background in Private Equity, Emerging Markets and Financial Technology. For Eastside Primetimers, Gemma supports both the Business Development and Merger and Collaboration team. M&A – Search and Approach Project for a large Housing, Health and Social Care Group. Business Development – Raising awareness of EP as an approved provider of the Big Potential Fund across various sectors. Marketing – Developed Marketing Strategy and Implementation plan for Hampton Trust, a leading charity working to break the cycles of violence, abuse and social isolation – with particular focus on the Linx Program.